Corruption in Sri Lanka, since independence, both political and financial has evolved to such an extent it has become a way of life. The silver lining which appeared in the horizon in the run-up to the Presidential election in 2015 never materialized. Financial corruption cannot be minimized unless and until political corruption is contained (eradication is but an idealistic dream). Key to the problem is the fact, once people of the country elect their representatives, they have little or no say in governance or in what their so-called representatives do until the next election. The political class, once elected, occupy themselves with consolidating their power and improving their finances while preparing for the next election. There is no accountability mechanism for their attendance in parliament and performance whatsoever. Colombia is a country located in South America. It is 17 times larger and has a population 2.6 times more than Sri Lanka. It was a Spanish colony for nearly three centuries and gained independence in 1886. Its current Constitution was enacted in 1991. The legislative branch in Colombia is considered the most corrupt public institution; Similar to Sri Lankan parliamentarians and ministers, elected officials (senators and congressmen) have often been accused of using the allocation of public funds to inflate their political power or enrich themselves. According to the country’s comptroller, graft costs the state USD 17 billion, equivalent to 5.3% of GDP, annually. The Colombian Constitution permits a referendum to be called with a petition signed by 5% of registered voters. Two senators from the Green Alliance Party spearheaded a campaign called Consulta Popular Anticorrupción calling for a referendum to contain corrupt politicians. Between January 24 and July 26, 2017, a total of 4,236,682 signatures were collected of which 3,092,238 signatures were validated by the National Civil Registry. Total registered voters being 36 million, it was well above the required 5% threshold (1.8 million) for a people’s referendum which was held on August 28, 2018. Voters could give a yes or no answer to each of seven questions. Every question required a 50% + one of valid ballots for approval. The referendum also needed a 33% minimum voter turnout to be legitimate. Some of the highlights of proposed reforms for implementation, should the referendum succeed were; law maker’s monthly salaries amounting to USD 10,500 to be reduced to USD 6,300 (Columbian minimum wage is USD 260). House arrest sentences for corruption to be replaced with jail time. Mandatory filing of Tax Returns for all elected officials and a three-term limit for lawmakers. Term limits would prevent politics from being a lifetime occupation, for new blood to be regularly injected and older politicians to be put out to grass permanently after three terms. 11.6 million Colombians cast their vote, and each of the seven measures had more than 99% yes votes. Nevertheless, the referendum failed as the number of votes required to pass muster amounted to 12.1 million. That said, it was a symbolic victory, especially for thousands of those who toiled for six months to gather the 4.2 million signatures. Those who supported the failed initiative have vowed to bring a fresh initiative in the future. The fact that less than 33% of registered voters failed to support the initiative is a sign of endemic corruption (also applicable to Sri Lanka). Many including those in civil society are stakeholders in the corrupt system. Despite all the chest beating and fanfare against corruption, they failed to support the initiative. Being beneficiaries of a corrupt system, they would not support measures that would deprive them of opportunities for enrichment. The seven reform-based questions are ideally suited for all countries. A periodic referendum on prevailing issues in any country would give voters an opportunity to have their say in how they are governed. It will also enable the masses to hold all elected officials accountable. From a Sri Lanka context, such a referendum should ideally have an additional four questions to include the following. 10. The number of ministers and deputy ministers not to exceed 30 for each category and changeable only by way of a referendum. 11. Voters to be given the right to call for a recall vote against any parliamentarian from their electorate or district as applicable by way of a petition signed by 50% + 1 registered voters. Constitutionally mandated election dates are of paramount importance. The present government’s reluctance to hold any kind of election is unprecedented. The President who claims he restored democracy on January 09, 2015 did not bother to hold LG elections for three years. When they were eventually held, his party received such a drubbing he and his party dare not agree to any further elections. The Prime Minister who says “elections will be held very soon” could not get even a single parliamentarian of his party to vote in favor of the Delimitation Report submitted by his own minister for Local Government. The Chairman of the Elections Commission (not to be mistaken with Elections Commissioner) who bombastically told foreign delegates attending Asian Electoral Stakeholders Forum “the forum will hopefully demonstrate the transparency of the Sri Lankan electoral system to the world” can only offer “the ball is not in my court” when questioned about electoral delays by local media. All these worthies will be made irrelevant by having constitutionally mandated election dates. The Steering Committee appointed by the Constitutional Assembly by a Parliament Resolution identified 12 main subject areas. Six of them were assigned to Sub-Committees each comprising of 11 members and remaining six to an ad-hoc committee for preparation of draft proposals. There is no evidence to believe of a provision for a citizen-driven initiative such as the Colombian referendum being included in terms of reference for draft proposals. Neither is there any mention of fixed election dates nor term limits for all elected officials. The main thrust of the entire exercise would seem to be over power devolution to the Provinces. It is also the sole focus of the official opposition who are representatives of a community which counts for around 16% of the population. They have little or no interest in issues such as corruption affecting people of all communities. ‘In the Republic of Sri Lanka sovereignty is in the people and is inalienable. Sovereignty includes the powers of government, fundamental rights and the franchise’ as stated in Chapter 1.3 in the current Constitution (and possibly in any future Constitutions) has little meaning other than being a ‘nice to have’ clause. In a corrupt country as Sri Lanka, people require a referendum mechanism independent of lawmakers to have a voice in crucial matters between elections. JAyaweera As you are talking about corruption, I want to write some narrative. that is there is no valid accusation against Venerable ghanasara to be jailed for 19 years which is second only to the maximum sentnece of 25 years. He had talked about govt trying to acquire Lands coming under VIHARAGAM, DEVALAgam (WHICH IS GIVEN DURING THE ANCIENT KING’S TIME AND EVEN the British govt di dnot comfiscate the whole land. (Most of the Mahanuwara town and going beyond the University is Dalada Maligawa lands). On the other hand, Wigneswaran and Tamils are crying out loud saying do not keep ad do not give lands to Tamils instead give us because western companies like to develop those for the benfit of every one. I heard Amirthalingam’s group also is saying the same Story. 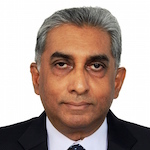 that is Wigneswaran’s affiliation with LTTE is actuaaly the affiliatin with western Real ESTATE COMPANIES WHICH NEED LAND for the real estate development Anyway, Referendum for whether to act corruption is like – there is a sinhala saying for that. WE DON’T DO IT INSTEAD TALK ABOUT IT. Your response, to put it charitably, is utter gibberish. You are unfortunately thinking in the vernacular and expressing in a foeiegn tongue. Try to follow an elocution course and then try your hand as a commentator. is enforced in Sri Lanka, it will keep the MPs busy so that they will at least do a part of the the job for which they were elected. But, this is wishful thinking. All MPs would like to ‘bury’ any referendum mechanism on what they are/were elected to perform. I’m scared of 5 Sept. will the govt fall? We must incarcerate Gnanasaara. He is evil and danger to the society. In Sri Lanka when a wild elephant goes wild we either catch them and put in a shelter or kill them. I am sorry government did not kill Gnanasara (I mean tried and sentenced him to death for the carnege he had caused to this beautiful country). Gnanasara must be kept in custody to the rest of his life, there is no two questions about that. In Colombia, Liberation Theologians are active. [Liberation Theology:: A movement in Christian theology, developed mainly by Latin American Roman Catholics, which attempts to address the problems of poverty, social injustice and spiritual matters]. We never had Buddhist/Hindu/Muslim/Christian Theologians addressing social injustice! Two Columbian senators from the Green Alliance Party spearheaded a campaign called Consulta Popular Anticorrupción calling for a referendum to contain corrupt politicians. Will JVP adopt poverty and corruption as the MAIN articles in the manifesto? It will be expensive and time consuming to conduct a Colombia type referendum in Sri Lanka. Instead we randomly select two groups of say 1000. To one group put the Yes/No answer question: Is corruption endemic in SL? To the second group put the Yes/No answer question: Are our MPs getting too much perks? Will there be surprises in the answer? If the results are publicised, the public will realise that there are others who feel like them. The politicians in spite of their thick skins will have to take note. JAyaweera believe me. wjat I heard Husbullan knew that Sri lanka had lot protestant influence and they run the country. The answer to WHY DILIMITATION REPORT WAS ABANDOEND”. should be related to that. Probably Faizer Mustapha also tried to give some edge to Muslims.